The Internet is lousy with content. Whatever industry you're in, millions of words have been spilled about it. With enough Google results to stretch from the Earth to the Moon, is there any reason to put effort toward custom content development? After all, if there's already a wealth of content to share, why bother creating your own? The answers to the above questions are: 1) YES 2) because custom content development is the best way to improve your marketing. 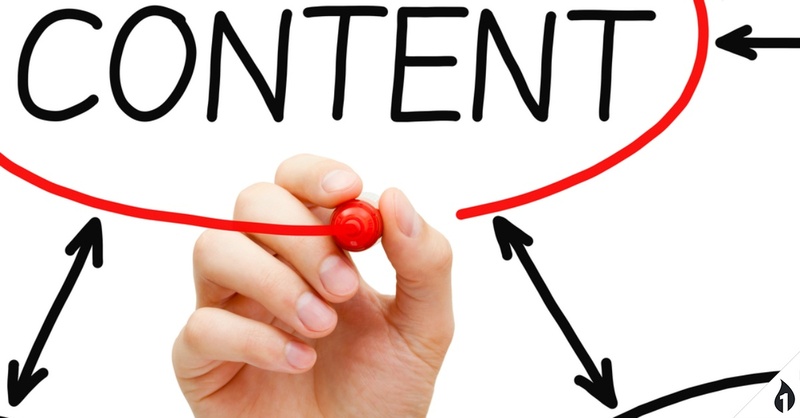 Inbound Marketing uses helpful content to draw in potential customers. Instead of bombarding unsuspecting (and uninterested) people with advertising messages, Inbound identifies ideal customers and then builds content around them (addresses their problems, providing value, answering questions). In return, those ideal customers engage with that content (and the company producing it) and participate in an organic Buyer's Journey that often results in a purchase. New customers quickly become brand promoters after consistently receiving content that helps them and speaks to their pain points. The Inbound Methodology is about delighting customers and sales naturally follow. Inbound is centered on developing custom content. Once you have original content to share, you're well on your way to embracing a marketing method that works. Custom content is one of the most effective ways to shape your brand. When you share content, you become an industry aggregator. When you develop custom content, you become an industry thought leader. You want to be a brand with a voice. Potential customers who are looking for information about your industry and your product will find you more easily and will assign you more authority if you have original content to offer. Creating content allows you to craft your company's image. If your business was previously known as an Importer/Exporter, but you're now choosing to focus exclusively on the exporting, tell that story through custom content. Content gives you the real estate necessary to tell your audience who you are, what you offer, and why they should start a conversation with you. It allows you to define your brand and demonstrate your value. Custom content development can even help sales! When approaching a potential customer, it helps immensely to have an original piece of relevant content to share. Think of it as a cold call versus a warm introduction. Instead of going right for the sale, you're able to first assist a potential customer by sending content that informs and helps (and delights!). That approach starts the conversation on the right foot. If you're attracting visitors to your website, custom content is incredibly helpful to the sales process. By offering content in exchange for e-mail, you can know a prospect's area of interest before the first conversation even takes place. That way, you're meeting them in the stage they're in, giving way to an informed and focused conversation about how you can help them solve their specific problem. That's an enormous advantage over spraying a one-size-fits-all advertisement at a crowd of people. Custom content can do what traditional advertising can't: target specific customer types. Traditional advertising is rudimentary, designed to appeal to the widest possible audience. Needless to say, the messaging is often vague and too generalized as a result. Original content, on the other hand, can be built around very specific buyer personas and the messaging can be tailored precisely to what those personas will find valuable. Targeting content also allows for a more measurable marketing strategy. You can find out, with certainty, what's working and what isn't. You can speak directly to your ideal customer's needs and get instant metrics on engagement. With that information, you can build campaigns around targeted content and see your marketing investment at work. No kind of traditional ad can match the specificity and detail of targeted custom content. If you're currently only sharing content, you've likely found (on more than one occasion) that you can't find articles that say exactly what you need them to. Whether it's the business interests of the author or the uniqueness of your message, you can't find content that echoes your position on an industry topic. What can you do if there's nobody saying what you want said? Create that content yourself. Or hire someone to create it. That's the beauty of custom content development: you control the message. You decide what should be written about your industry. You get to influence what information is available on the Internet. You have a voice to explain why you do things the way you do them (and why potential customers should care). Custom content gives you a say in the greater conversation. There's no such thing as too much content. Make your voice heard and create original content that will transform your marketing.